How can European automakers thrive in the new mobility ecosystem? ​What does the future of mobility hold for European carmakers? We see a new value chain emerging, shaped by regulations, consumer attitudes, and the pace of technological change. Key to thriving in the new ecosystem: investing strategically—and accepting that not every investment will bear fruit. The emerging mobility ecosystem has the potential to move people and goods more quickly, cheaply, safely, and cleanly than today. But the future of mobility raises hard questions for auto industry incumbents. How can traditional carmakers remain competitive against tech players with pockets full of cash that they are willing to invest? What will be the impact of in-car software and connected services on R&D capabilities and supplier selection? What kind of asset structure will be needed to provide mobility and digital services? How can companies train their people to ensure they possess a “digital skill set,” and how should they deal with the fact that automation and shifts in vehicle components could make many workers redundant? And what will be the impact on the economy in and around cities and regions that depend on the jobs that automakers provide? This article attempts to shed some light, from the perspective of a European automaker, on possible developments in the automotive value chain as we move toward 2025 and a new mobility ecosystem. Without a crystal ball to look ahead, decision-makers can develop scenarios to understand the underlying dynamics shaping the future, and make smart strategic decisions in the face of uncertainty. In the course of a large number of interviews with experts representing automakers, mobility entrepreneurs, researchers, and lobbyists, as well as IT and battery developers, we identified more than 60 factors that are most likely to drive the future of the auto value chain. Backed by our extensive research data, we then used these driving factors to construct four scenarios or narratives, each giving a different picture of what the value chain might look like in 2025. To test and fine-tune each of these narratives, we held a number of workshops with top executives from original equipment manufacturers (OEMs) and independent industry experts. From these, we drew a series of implications for the market and the value chain, as well as some strategic imperatives for auto OEMs. To facilitate decision-making in the face of uncertainty, we need to quantify the effect of projected shifts in the market and their implications for the value chain. Taking each of our scenario narratives and profit models, together with Deloitte financial benchmark databases and forecast developments in the factors driving the market, we modeled an income statement and balance sheet for a typical European OEM in 2025. However, outlining projected profit models and performance indicators for OEMs in 2025 will not answer two important questions that all decision-makers will ask: How do we get there, and where do we start? This study, therefore, concludes by outlining suggestions for possible value-chain transformation paths for OEMs, and also pain points that might be expected along the way. To do this, we place special emphasis on assets, people, and supply structures along the auto value chain. Throughout this article, we examine how the future might unfold for a typical OEM, headquartered in Europe, with no distinct market positioning—serving both premium and volume segments—but with a respected brand and solid profit streams. With an annual turnover of almost €60 billion and an EBITDA (earnings before interest, taxes, depreciation, and amortization) margin of 12.5 percent, this comes well within the order of magnitude of European carmakers.1 Throughout, we refer to this typical OEM as the “future car company,” “future automaker,” or simply “the company,” while we refer to carmakers as a whole as OEMs. Today, our hypothetical future car company operates primarily two business models: producing and selling vehicles (2015 revenues: €45 billion) and offering financing services (€13 billion).2 We believe that in 2025, two additional business models will play a significant role for the company. One is producing white-label components and vehicles—that is, unbranded products for marketing by other retailers. The other is a business model based on making profits from mobility services and user data; this includes car- and ridesharing services or, more broadly, mobility management. In addition, the company looks to generate revenue from connected services and data—that is, software and apps for information or entertainment offerings (the in-transit experience) as well as other ways of monetizing the large amounts of data available in and around cars (digital infrastructure). The maturity of each of the four distinct business models will differ strongly, depending on which of the four scenario narratives materializes. So let’s begin with a detailed look at the future mobility ecosystem and what role our hypothetical car company might play. Making that system work could require a diverse set of players. The automaker’s traditional role—vehicle development—will remain critical. The in-vehicle transit experience could also become central. “Experience enablers,” including content providers, data and analytics firms, advertisers, entertainment equipment providers, and social media companies, will rush to make travel relaxing, productive, or entertaining. Physical infrastructure enablers will look to provide smart tolling and dynamic road usage pricing, as well as traffic flow management. Energy providers and retailers will likely be essential to manage an increasingly complex supply chain, including battery recharging and replacement. A parallel digital infrastructure will be every bit as critical, offering seamless connectivity, a horizontal operating system shared across the ecosystem that can bridge vehicles as well as mobile devices and Internet of Things architectures, and network security. Fleet operators will maintain and operate shared vehicles. Finally, mobility advisers will be another vital component in the ecosystem, aiming to enable a seamless intermodal transportation experience, ensuring easy access, a top-notch in-transit experience, a smooth payment process, and customer satisfaction and using customer preferences, traffic data, and more to tailor the most convenient and cost-effective mobility plan for each trip. Automotive OEMs could plausibly fill more than one role in the emerging mobility ecosystem. And even within carmakers’ traditional domain of vehicle development and manufacturing, multiple end states are possible, depending on how key drivers play out over the course of a highly uncertain future. To explore the alternative plausible futures, we developed four scenarios for the evolution of the automotive OEM. Informed by conversations with numerous industry leaders and additional research, we began by looking at a wide variety of drivers—more than 60 in all—with a direct or indirect impact on the future development of the auto value chain. These drivers were then assessed as to their degree of uncertainty and their impact on the OEM’s auto value chain, in areas such as R&D, procurement, manufacturing, and logistics. We focused on those with the highest degree of uncertainty and the greatest impact (see figure 2), since they are the most significant for predicting distinct and meaningful future scenarios. One example is alternative powertrains, such as battery electric vehicles, plug-in hybrid electric vehicles, range extenders, and fuel cells, since they require major changes in workforce composition, logistics channels, and manufacturing processes and are also subject to unpredictable market breakthrough. Another example is “connectedness of cars,” as the potential for new business models is high but uncertain when it comes to actual monetization and future regulation. Working with auto industry experts and OEMs, we used these key drivers to develop four potential scenarios for the carmaker’s role in 2025 (see figure 3). These scenarios are deliberately—and artificially—stark and distinct, designed to accentuate the divergent paths that automakers could take and to make clear the differences between them. In reality, the industry is likely to evolve in a much more complex way that contains characteristics of all four scenarios. Scenario 1: Data and mobility manager. Connectivity has become a differentiator. Electric vehicles, autonomous driving, and seamless integrated mobility are common. OEMs have co-opted or out-competed disruptive new entrants and technology providers and are the dominant players in the auto industry, offering a rich portfolio of products and services. Industry outsiders must work within the parameters and platforms defined by OEMs. Scenario 3: The fallen giant. The car is simply a means of transportation, and brand appeal and loyalty have faded. As the vehicle becomes a commodity, profit margins shrink and OEMs focus on improving processes and cost efficiency. Industry outsiders forge exclusive alliances with suppliers to provide affordable shared mobility. Fleet management is increasingly important for OEMs. Scenario 4: Hardware platform provider. Tech players have disrupted the automotive value chain, with OEMs mainly supplying white-label cars to them. OEMs compete by providing a superior platform for in-vehicle experiences and entertainment and mobility services. Below, we explore each of these archetypical scenarios in greater depth, examining how OEM profit pools and other financial metrics could shift, and looking at implications for each part of the value chain. To understand the financial implications of each of these four scenarios for our future car company, we examined the key factors likely to impact market development, revenue and costs, and workforce requirements. To forecast the overall size and composition of the market for vehicles, we used Deloitte’s E-mobility model, which provides estimates of future vehicle sales broken down by powertrain types.6 Based on these estimates, we developed detailed profit and loss models, including allocation of revenue and cost across different businesses, as well as estimates of the size and composition (high- versus low-skill) of the workforce. We also considered the implications of the future car company investing in its own battery plant. Finally, we conducted simulations to understand the range of potential financial outcomes and to identify most likely performance. Figure 4 presents an overview of EBITDA performance across the four scenarios. E-mobility, autonomous driving, and integrated mobility have become part of daily life. Consumers demand additional infotainment services, based on platform solutions that are owned and controlled by the future car company. Brand attractiveness plays a decisive role in buyers’ behavior. Guaranteeing quality standards for autonomous driving technology, batteries, and other high-tech components is key to ensuring that customer ownership stays with the future car company. In addition to connected services, the value chain has been extended to include smart traffic infrastructure such as charging stations and mobility management systems. The future car company fills multiple ecosystem roles: as a digital infrastructure provider, an enabler of the in-transit experience, as a mobility manager, and as a developer of vehicles. The future car company is a dominant player in the auto value chain and remains in control of final assembly and powertrain production. Revenues from vehicle production are 37 percent higher than in 2015, with the automaker able to convince otherwise-thrifty consumers to pay for additional features such as autonomous driving, leading to higher average vehicle prices.7 EBITDA from vehicle sales is 60 percent higher than in 2015, due in particular to efficiency improvements. Revenues from financial services have grown in line with vehicle sales. As the future car company was able to set the standards needed for connected services and digital infrastructure, it now generates 20 percent of its revenues and 19 percent of its EBITDA from mobility and connected services. Across all business models, the future car company is in a very healthy condition, with increases of 71 percent in revenues and 91 percent in EBITDA. Supply structure: The supplier pool has been extended horizontally, as the future car company sources sensors, software, and analytics applications from tech giants and specialized companies. This creates challenges, as the future automaker will have to deal with these new suppliers at arm’s length—and some of the strategic suppliers may also be competitors in the mobility services market. Bargaining power vis-à-vis traditional suppliers remains strong, as the future carmaker remains the dominant force in the automotive industry. New logistics challenges arise as the rapidly growing shared car fleet needs to be managed, and the use of batteries in cars requires obsolescence management. Digital logistics channels (for example, an online system to configure vehicles and update software) and the supply of spare parts for small repairs will be key success factors for the future car company. Workforce: With more electric cars being made and advances in automation, there is a substantially smaller workforce in production. However, the future car company is an attractive workplace for research and digital talents, as high-tech features and mobility management services are at the center of the company’s value proposition. In this scenario, the future automaker has won the fight against market entrants from Silicon Valley. High-profile technology failures with autonomous vehicles have turned consumers against the new systems and prompted regulators to adopt strict policies, leading technology companies to back away from most mobility-related initiatives, at least temporarily. User data protection issues have become a top priority for customers and legislators, and digital add-ons have not made their way into cars on a large scale. The future car company plays to its strengths, such as providing quality—if conventional—automobiles at affordable prices. Digitalization is advancing, but innovations are finding their way into vehicles only very slowly. This scenario is somewhat unstable, as automakers fail to capitalize on existing technological opportunities for the industry, leaving them vulnerable to new entrants down the road. As the future automaker has maintained its dominance while benefiting from a growing market, it sells substantially more cars than in 2015 (21 percent increase). Vehicle sales are still the main revenue contributor, with 75 percent of total revenues. EBITDA from sales have grown by 66 percent with efficiency improvements due to the deployment of Industry 4.0, and improved supply chain performance management has made it possible to grow and improve the EBITDA margin by one percentage point. E-mobility has emerged as an independent business model but plays a substantially less important role than in Scenario 1 (18 percent of total unit sales). Since the hype surrounding connectivity has diminished, mobility and connected services fail to constitute a viable business model. Across the entire company, revenues have increased 49 percent, mainly due to significantly growing vehicle sales and associated financial services. Assets: In Scenario 2, the value chain will not change significantly. Advanced technologies and innovations are still generated hand-in-hand with the supplier. As mobility services play no significant role, the focus of R&D is on the development of efficient combustion engines and new materials, and product innovations such as driver assistance systems. Powertrain production has become more complex, as still-dominant combustion engines coexist with alternative drives. Efficiency improvements and high-quality drivetrains and interiors are necessary for competing successfully. Production capacities have been increased. Supply structure: The automotive ecosystem remains much as it is today. The future car company has strong bargaining power vis-à-vis its suppliers, and has only recently started to cooperate with innovation partners and start-ups. Workforce: As e-cars constitute a relatively small proportion of total vehicles sold, pressures for workforce reduction are low. In this low-tech environment (relative to other scenarios) with increasing sales quantities, the workforce is in fact slightly larger than in 2015. E-mobility and autonomous vehicles have experienced widespread acceptance by consumers and favorable regulation. However, automakers are not the preferred provider. Industry outsiders such as ride-hailing services and technology companies have entered the market on a large scale and forged exclusive alliances with dominant auto suppliers, cities, and infrastructure companies to provide affordable mass mobility. They have mastered the integration of digital capabilities and mechanical engineering and provide superior autonomous driving technology. As a result, the future carmaker is suffering from this fierce competition and displacement, as its brand attractiveness and value have diminished. New talent recruitment also suffers as a result, putting the brakes on the development of new business ideas. Private car ownership has decreased, and the future car company has lost market share to the growing competition. As a result, revenues from vehicle sales have dropped sharply. As the automaker has lost bargaining power vis-à-vis suppliers and has invested in only minor efficiency improvements in manufacturing, EBITDA from vehicle sales has decreased even more (65 percent decline). However, the company has been able to extend its white-label business, selling cars and components to the new players; this business contributes 22 percent of revenues and 21 percent of EBITDA. By contrast, the future car company has been unable to play a significant role in mobility and connected services. All in all, the automaker is under severe pressure, as revenues have decreased by 46 percent and EBITDA by 56 percent since 2015. Assets: R&D is focused on cost reduction in production. Large-scale, cost-efficient manufacturing processes have gained in importance, maximizing the use of robots. Cost pressures also demand tighter development and production partnerships among OEMs. Supply structure: OEM bargaining power has suffered due to partnerships between suppliers and the new mobility providers. This has also led to supply bottlenecks, as the future car company is no longer a top priority for its suppliers. The automaker has, therefore, had to add value through insourcing and forging alliances with other OEMs. Cost pressures lead to improvements in supply chain efficiency through demand management. Workforce: With the smaller number of cars produced and the immense pressure to reduce costs, the workforce has shrunk substantially in size. Cars have become software-based high-tech products with standardized interfaces comparable to today’s smartphones. Tech players from Silicon Valley and beyond have gained critical access to the automotive world, providing key elements of the software, and have captured the mobility and data-management service businesses. Many customers choose cars labeled by these new tech players, for whom the future carmaker now produces only the shell and the platform. In a small and exclusive premium segment, however, customers are still interested in buying directly from the car company. The future automaker is struggling to create the same brand appeal to private customers that it has traditionally enjoyed. The private car customer base—and the number of cars sold directly to the end user—is 52 percent smaller than in 2015. Vehicle sales thus contribute only 37 percent to total revenues. However, as these vehicles are sold primarily to the premium market segment, the EBITDA margin on vehicle sales is higher than in 2015. Business in financial services is shrinking in line with lower vehicle sales. However, total vehicle sales could increase due to white-label sales to business partners, making this the main source of the OEM’s revenue. As a dominant automobile platform provider and with significant efficiency gains in production processes (Industry 4.0), EBITDA margin in the white-label business is strong (13 percent). Mobility services play no role in the automaker’s business, since value-added digital services and shared mobility are operated by other players. The future automaker is in a good position, with greater revenue and EBITDA relative to 2015. Assets: The key priority for R&D is to further develop system interfaces to remain the dominant platform. In addition, the company is aiming for hardware improvements while leaving major parts of software development to tech players. R&D has become more complex, as the future automaker has to consider the input of business customers who want to influence the development process. As the platform provider, the company needs to manage these different interests and also the significantly different life cycles of automobiles and computer hardware. The net effect is to increase R&D spending relative to revenues. Manufacturing needs to become more flexible in order to fulfill the requirements of white-label customers. For example, factories may have been relocated closer to business partners, a major investment. Modularity of production processes is high, to achieve flexibility with regard to hardware and software life cycles. Supply structure: Since bargaining power vis-à-vis suppliers has decreased, the company has had to invest in its relationships with software and analytics providers. The flexibility of logistics is greater than in 2015, as the future car company has to follow the expectations of B2B customers. 3D printing is helping to supply spare parts for small series. From the logistics perspective, maintenance of the rapidly growing sharing-economy fleet is a key issue. Workforce: Despite higher revenues, the workforce has decreased significantly as e-cars represent a higher proportion of vehicles produced and automation has advanced. The transformation of profit pools and the value chain in the years to 2025 will be shaped by regulatory developments, consumer attitudes, the pace of technological change, and the strategic choices of OEMs and many other players. Automakers, therefore, need to steer themselves toward a clear goal, perhaps investing to get a foot in the door while accepting that some of these investments will not bear fruit. To help them in that effort, we have identified six strategic areas with which all automotive decision-makers are likely to be dealing in the years to 2025: e-mobility, autonomous driving, the sharing economy, digital business models, Industry 4.0, and workforce transitions. For each of these strategic areas, we consider how trends and drivers could shape the potential transformation path for two of the scenario narratives: OEM as a data and mobility manager (Scenario 1) and OEM as a hardware platform provider (Scenario 4). The potential growth in e-mobility raises one big question: Should the automaker produce batteries itself or buy them from others? The impact of this decision will be enormous, as up-front investment could be in the billions of euros. During the first years, utilization—and hence profitability—of a large battery plant is likely to be low. Moreover, it will take significant R&D effort and/or M&A activity to establish the OEM as a cutting-edge battery producer. However, the in-house production of batteries has the advantage of control over a substantial part of e-car value creation. Most automakers have already shifted significant funds into e-mobility investment. To aim for the data and mobility manager position of Scenario 1, further investment is likely to be necessary, not only in the development of electric cars but also in production capacity for rapidly growing customer demand. Defining standards for the corresponding charging infrastructure is also key, making close cooperation with public authorities important. For OEMs aiming to succeed in Scenario 4, cost-efficient production of alternative drives and vehicle platforms should be the focus. As with investing in e-mobility, building capabilities for autonomous driving is in our view a no-regret move in all scenarios. While much remains uncertain—including the speed with which the technology can be brought to market and consumers’ willingness to adopt it9—autonomous driving has gone within a few years from science fiction to the verge of becoming reality, as multiple players are pushing the technology. For automakers, R&D budgets will need to expand when aiming for the high-tech Scenario 1. Alliances might be a way of supporting this. Addressing safety and liability is key to ensuring technology acceptance and a sustainable customer relationship. According to Deloitte’s study Autonomous driving in Germany, 59 percent of drivers would be more likely to use self-driving cars if the OEM offered a warranty for accidents resulting from a technological failure.10 By offering demonstrations and explaining the technology, the automaker can help build confidence in autonomous vehicles, increasing customer acceptance and, ultimately, loyalty. For an OEM targeting Scenario 4, the focus should be on the provision of suitable hardware concepts and standardized interfaces. Furthermore, modularity should be increased to achieve flexibility and accommodate different hardware and software life cycles. We also expect a growing demand for ride- and carsharing services, especially when coupled with self-driving vehicles that can be pre-ordered to a certain location at a certain time. While many customers find this highly attractive, it could be challenging for automakers’ traditional business of manufacturing vehicles; total vehicle demand is expected to be much less than in a world where customers lack the option to share. Although revenues from shared vehicles were still low in 2015 (around €10,000 annually per vehicle), investment in mobility services opens up opportunities for participating in the growing market for the sharing economy. With a larger customer base and greater utilization of vehicles, this effect could eventually more than compensate for decreased sales. The construction of a mobility platform is both feasible and low-risk. The investment requirement is relatively moderate, and the platform can be operated with rented cars or under-utilized private cars. However, competition is already stiff, with many players possessing superior analytics and data management capabilities. In Scenario 1, the aim is to be a market leader in mobility services, so the development of an attractive service offering and an easy-to-use application will be key to success. In this scenario, the automaker needs to create a strong brand to find a place in the sharing economy. Attractive vehicles, a well-chosen city selection, and customer-oriented pricing are essential for competing successfully, together with systems and talent for mobility data management and predictive analytics. The OEM should also focus on cost-effective maintenance of the vehicle fleet. In contrast to this, an automaker aiming for Scenario 4 will not be operating in this field. Rather, it should try to boost its vehicle sales through long-term and extensive cooperation with dominant car- and ridesharing players. Connected car technologies offer a number of new possibilities for generating revenues by enhancing the in-transit experience, from watching movies to playing games, as the car navigates autonomously to its destination. Automakers need to consider developing and integrating infotainment systems and apps, including interfaces with home devices and links to offices. Furthermore, they could sell advertising during autonomous shared rides in the same way as public transport does today. In order to move toward Scenario 1, the future automaker has to build up digital capabilities aggressively. In addition to its own research activities, it will also have to acquire knowledge and resources from start-ups and other tech ventures. In our estimate, a typical automaker might have to recruit up to 13,000 IT specialists. The OEM must ensure data security and transparency. In Scenario 4, the future automaker should avoid trying to compete against players with already-strong digital capabilities. The goal should be to provide the safest, best-performing standard-setting platform. To stay competitive in manufacturing efficiency, product prices, and quality, a company must assess a variety of investment options in new manufacturing technologies. Possible actions range from updating assembly lines with advanced robotics and equipping manufacturing and intralogistics hardware with sensor systems for data collection, to smart analytics solutions and voice-controlled systems. The financial investment required to create “smart factories” would be enormous. Moreover, an increased level of automation entails big changes for the automaker’s workforce. Socially responsible—and costly—solutions are needed to adapt the workforce to the challenges of a digitalized world. Our recommendation for companies aspiring to see themselves in either Scenario 1 or Scenario 4 is the same: Invest and develop integrated Industry 4.0 concepts. Irrespective of whether OEMs will continue to be in control of the auto value chain (Scenario 1) or act as the “hardware suppliers” for tech giants and technology platforms (Scenario 4), making the most of new manufacturing technologies is an imperative. One important distinction between the two scenarios must be made. For white-label production in Scenario 4, the need to integrate new players (and their standards) in the supply chain will require greater flexibility in production systems. Many of the issues discussed point to a dramatic impact on the workforce. In many cases, the OEM may not need more workers, but it will almost certainly need different workers and skills. If aiming to be a digital and mobility manager (Scenario 1), the OEM faces the need for additional digital talent while reducing its manufacturing and administrative workforce. Implementing employee training programs and developing recruiting strategies to attract bright people in software development and data analytics should be one key area for action. Being well known as an attractive place to work will be critical to success in acquiring the necessary talent. The negative impact from workforce restructuring might be softened by redistributing employees to other areas of manufacturing (for example, white-label manufacturing), offering training programs for employment in other functions (for example, battery production), or extending early-retirement plans. In any case, the future automaker must consider the influence and concerns of legislators, trade unions, and the general public. Continuing to be a good corporate citizen will be crucial for the successful future car company. When working toward Scenario 4, the need for careful management of workforce restructuring is even more critical. The large increase in white-label production will only partly compensate for workforce reductions in other areas. The management of such processes will require close attention from top management and could certainly cause controversy, both internally and in the public sphere. There is no easy path to success for carmakers in the future of mobility. If the goal is to be a technological pioneer and face off with IT giants, there is an urgent need to develop digital capabilities. OEMs will need to aim for cooperation and mergers, and adopt a culture of innovation. In Scenario 4, the central requirement is to concentrate on the core competency of vehicle construction—given the massive investment required and the associated risk—and companies should direct R&D investments particularly toward improving efficiency. The early formation of cooperative relationships with mobility providers can support the transformation to a leading vehicle platform provider. In doing so, however, automakers must be willing to cooperate with them on an equal footing. The core business of automakers will undergo significant changes over the next decade, as new mobility concepts and increasing competition endanger current market shares and profits. However, there are several future scenarios in which an OEM can successfully compete and even significantly increase revenues and operating profits. There is a strong indication that, across the four scenario narratives we have developed, embracing e-mobility, autonomous driving, and Industry 4.0 could well be no-regret moves. Workforce transition management, meanwhile, seems critical in three out of the four scenarios. To prepare for the future, automakers will have to evaluate the drivers of change in the light of their internal and external circumstances. In the face of uncertainty, scenario planning permits us to map out clear paths into the future. And because the speed and direction of key drivers can change quickly, it is important to take a holistic approach to understanding and modeling their impact—and to be willing to revisit regularly assumptions and business decisions. 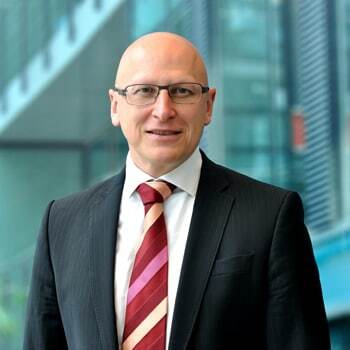 Dr. Thomas Schiller is a partner at Deloitte Consulting GmbH’s Munich office. 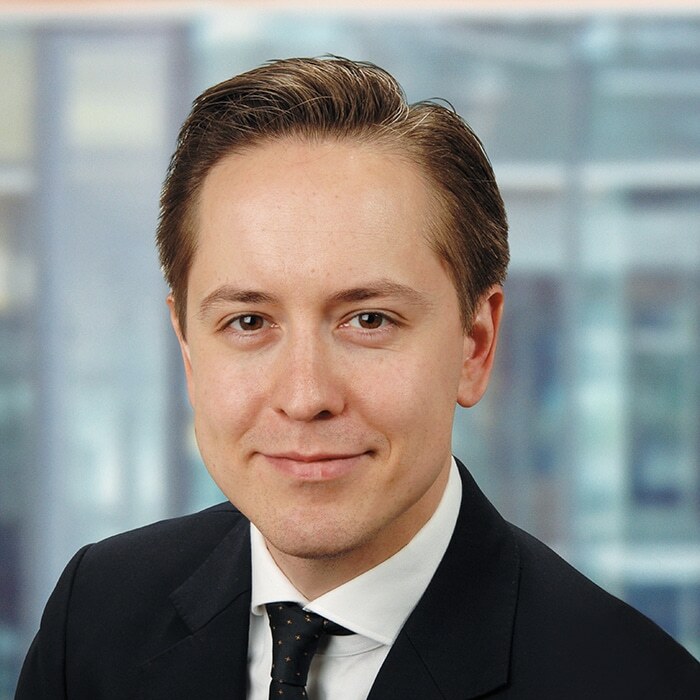 Nikolaus Helbig is a partner at Deloitte Consulting GmbH’s Munich office. 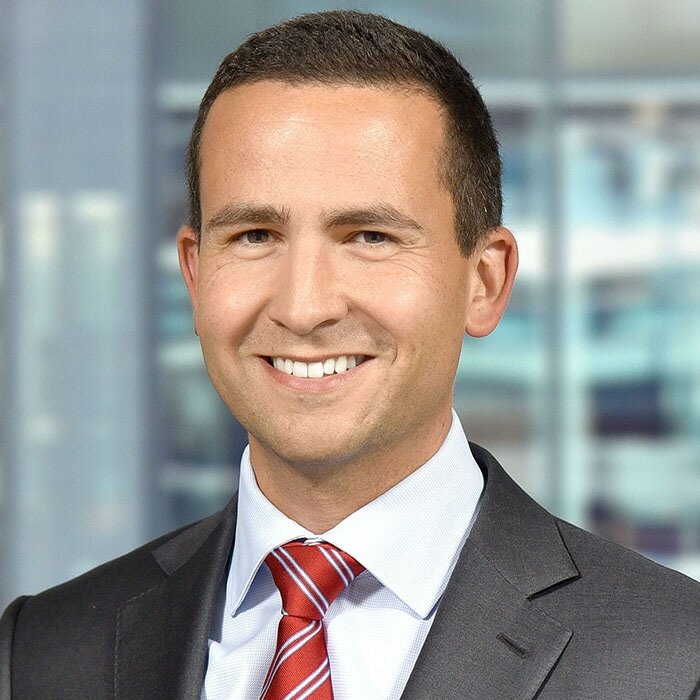 Matthias Nagl is a senior manager at Deloitte Consulting GmbH’s Munich office. How can European automakers thrive in the new mobility ecosystem? has been added to your bookmarks. How can European automakers thrive in the new mobility ecosystem? has been removed from your bookmarks.